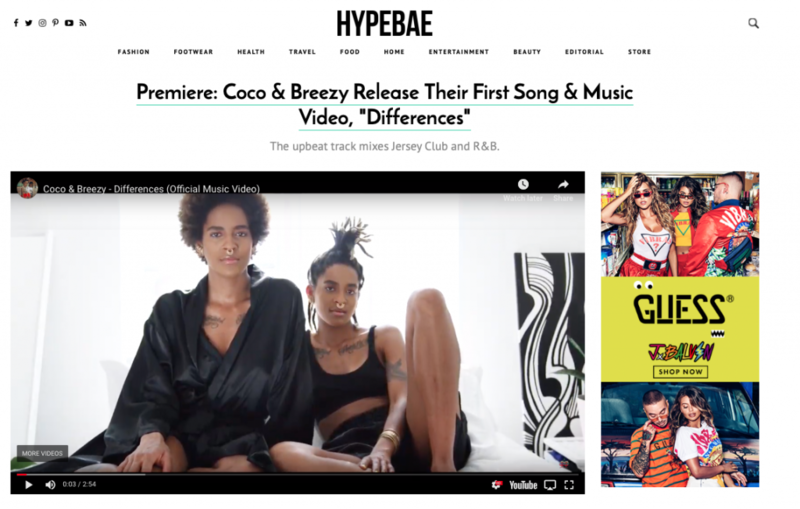 Coco & Breezy, and their single #Differences featured in the new Maybelline campaign! Designer duo, producers and DJs, Coco and Breezy take on the Maybelline taxi cab challenge. Watch how they each recreate each other’s makeup look and put their own spin to it! Get Breezy’s fire eyeshadow look with the Matte Bar Palette and Coco’s lip look with one of our Made For All shades, while they as the drive to put their single “Differences” ! Coco & Breezy Featured in Spring 2019 #MakeItPossible Campaign! 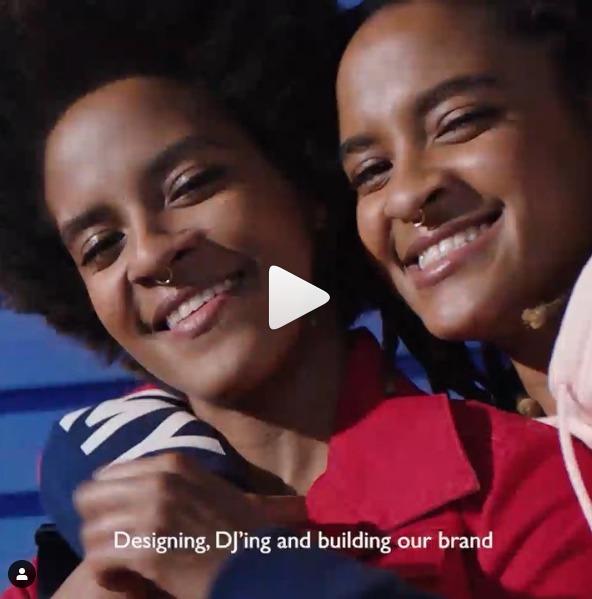 Coco & Breezy are showing what it’s like to fearlessly trust in themselves and step outside the box as entrepreneurs in Tommy Hilfiger’s new 2019 Spring campaign #MakeItPossible. 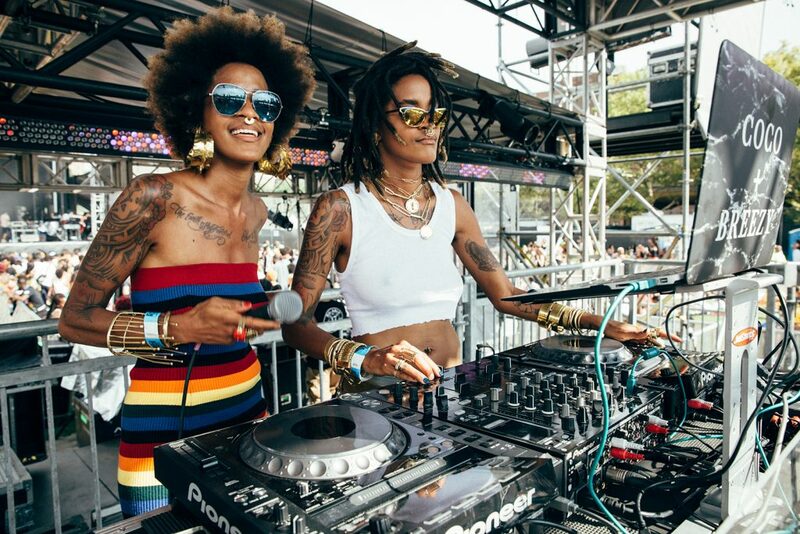 Run the Trap Premiere’s DJ Sliink’s Remix of Differences by Coco & Breezy! The jersey club king himself DJ Sliink just offered up a new remix and RTT readers get to hear it first. 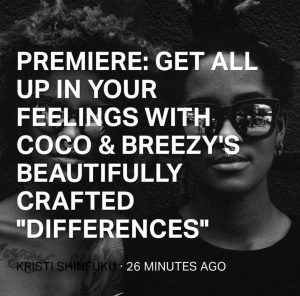 The talented musician put his masterful creativity to work on “Differences” by Coco & Breezy. The song features fantastic vocal chops and booming percussion that pair perfectly with the pop vocals. 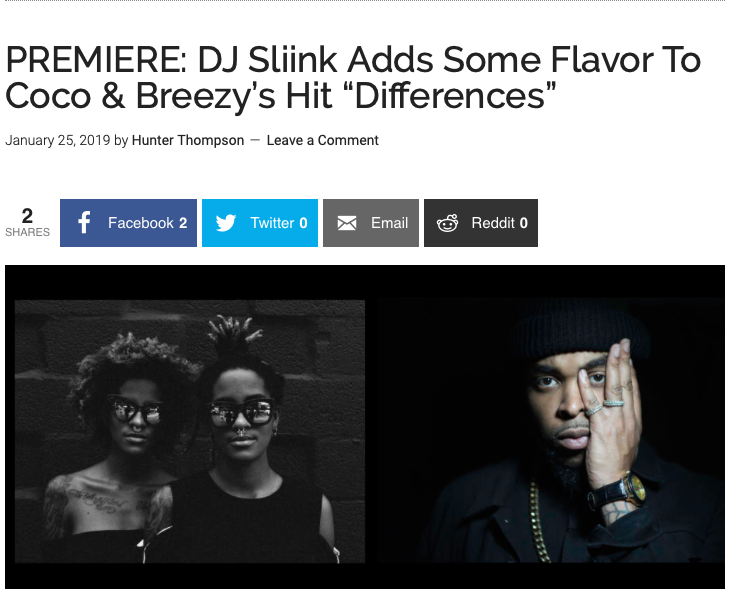 We are happy to have our homie DJ Sliink remix our first single Differences.” Coco & Breezy had to say about the remix. “We’ve been a fan of his music for years and love the magic touch he puts on everything.” Give it a listen to the remix below and see why DJ Sliink is the undisputed jersey club king.